Ever been to Disneyworld? Ever been on the GM Test Track ride? 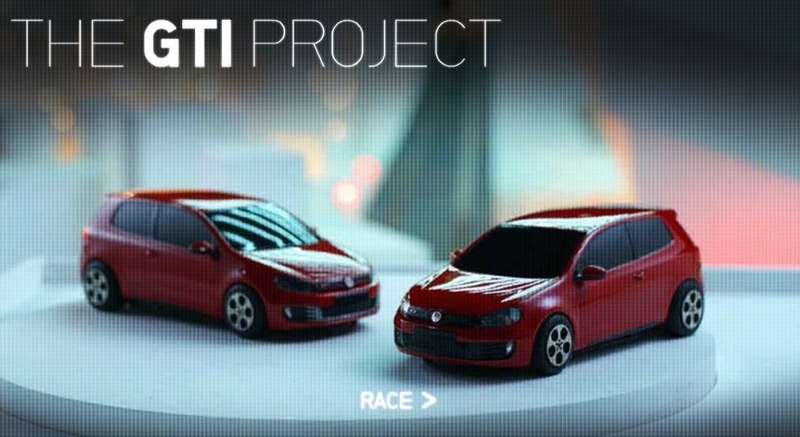 Then you know exactly what you're getting into with this Tribal DDB London-created online game, The GTI Project. It's to hype the launch of Volkswagon's new Golf GTI Mk VI. While the work is inspired by the Golf's invention back in the seventies when VW engineers sequestered themselves in a secret room in their spare time to design the first generation Golf...it's a digital version of GM's Test Track Disney ride. Not knocking the work and we are a VW fan having owned three but if we had to choose the best ride, we'd have to go with GM's real world version. Of course, not everyone can go to Disney all the time so let's just thank Tribal DDB London for providing us a digital alternative.